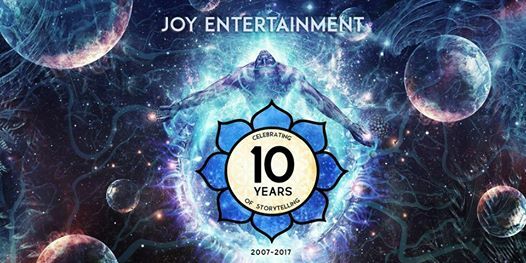 Joy Entertainment is celebrating their 10th anniversary this year. It’s been amazing journey so far. Ten years of making films! Joy Entertainment was established in 2007 by Jayrajsinh Chavda with a vision to create meaningful and thought provoking cinema that resonates with global audience. over the years, Joy Entertainment is known for bringing cult and bold stories to life. Joy Entertainment’s first production ‘The Power of Unity’ premiered in 2007 and our next film ‘Universal Religion’ is all set for the world premiere by the end of this year. Our films have been nominated for various national and international film festivals. To celebrate their 10 years of filmmaking journey, they are organising many activities or events at their studio in Ahmedabad. Here’s the full schedule of the 10 days of celebrations.